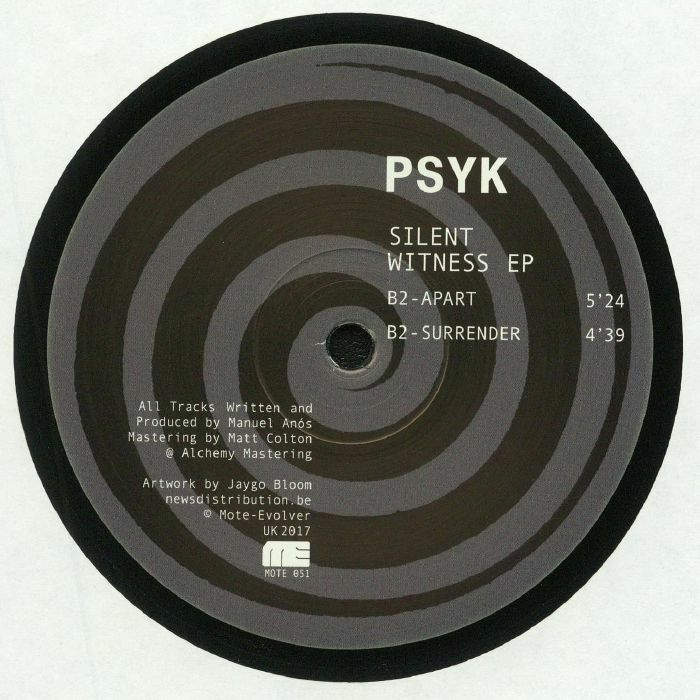 PSYK Silent Witness EP vinyl at Juno Records. It's about time that Spain's Psyk made a return to the Mote-Evolver imprint; after all, he has been at the core of the label's development since their glory days back in the mid 00's. As expected, the gifted techno producer touches down with an absurdly effective collection of killers, first storming down with the hypnotics of "Disorder", before heading into a relentless wormhole on "Silent Witness". "Apart" opens the B-side with a rattling cascade of metallic percussion, driven forwards by acidic synths, and "Surrender" wastes no time in throwing us back into the midst of the rave, as cavernous and foreboding as humanly possible.